Home » How to Use this Ads Website! Many of you have stumbled on this Mortgage Ads Website because you were looking for sample mortgage ads. While you were here, you likely noticed that this site also provides insight into the importance of having the right disclosures, disclaimers, substantiation of claims, and clear and conspicuous explanations for consumers that will read your mortgage advertisements. When you go to the Sample Ads link, you will notice a menu at the top of the page that will help you find the content on the type of ad you are working on. When you click on the Advertising Disclosures Rules link at the top of the home page, you will also see a sub-menu that will bring up many advertising rules and requirement topics to help you on the ads you are working on. 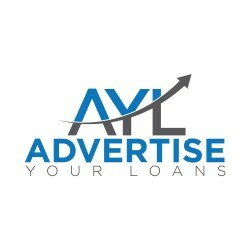 Who we are: Is our team qualified to teach you mortgage advertising concepts? Can we teach you how to become a Mortgage Advertisement Compliance Officer? Well, the answer is yes. Our team has extensive experience in reviewing mortgage advertisements and advising clients about mortgage compliance issues including use of Compliance Management Systems, State and Federal compliance matters, and running the Legal and Compliance departments of major mortgage banking entities. Our Team is headed up by Ken Block, who is a recognized mortgage banking attorney who has worked as in house counsel for mortgage banking firms since 1997. Ken is a licensed California attorney who has been practicing law since 1993. In 2016 Ken completely revised and updated his How to Advertised Mortgage Loans Guide which is available for purchase in a downloadable PDF format from this website. Our company has pages of information at this website that will help your team member, or you, become more skilled at becoming an Advertising Compliance Officer for your company.